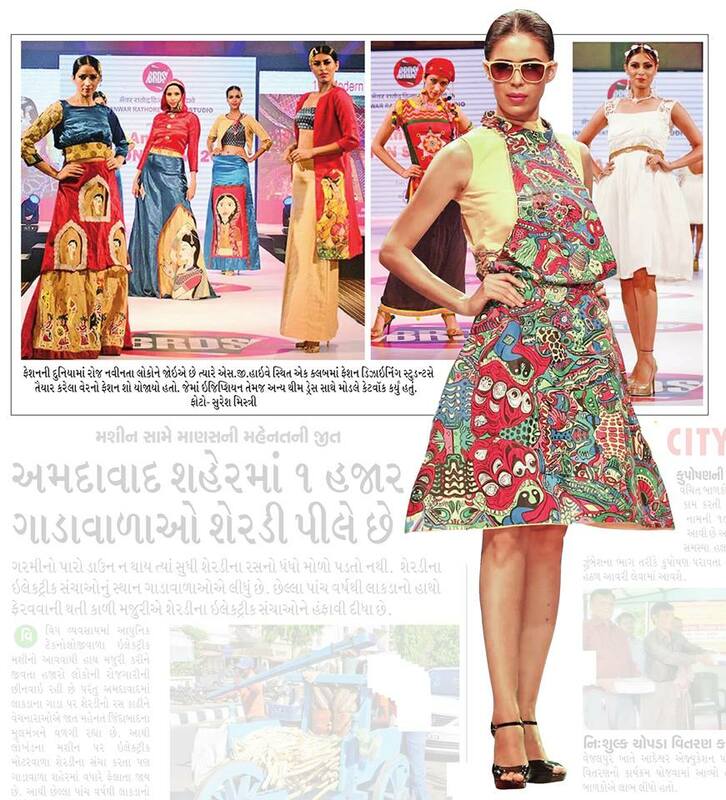 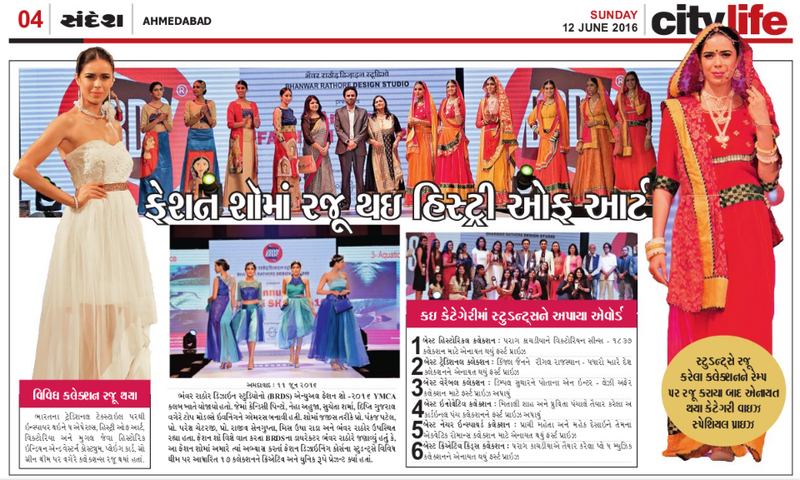 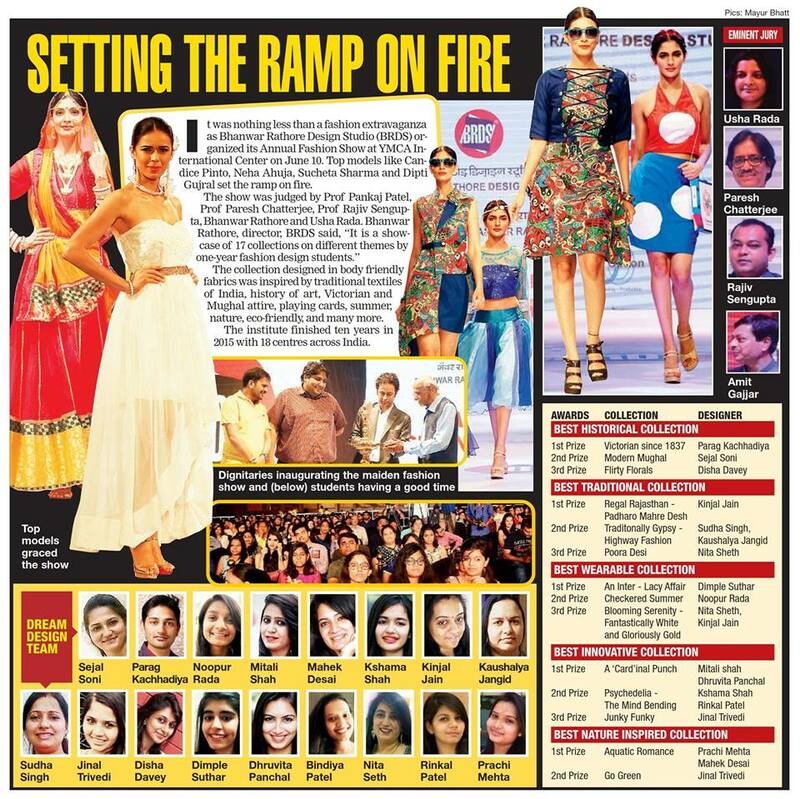 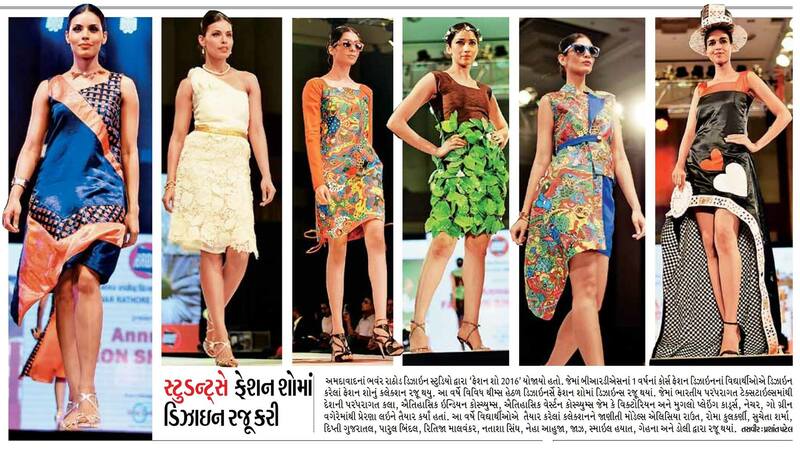 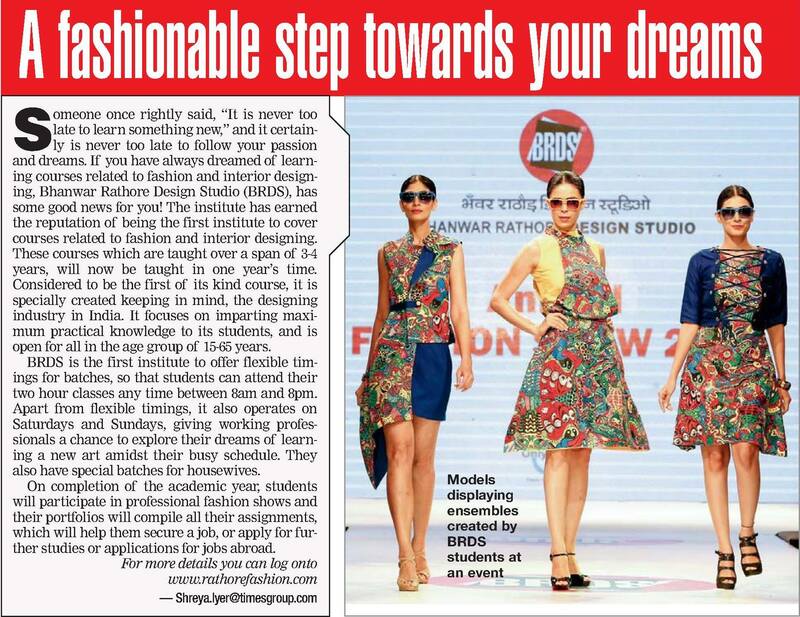 National Institute of Fashion Technology (NIFT) is a fashion institute in India. 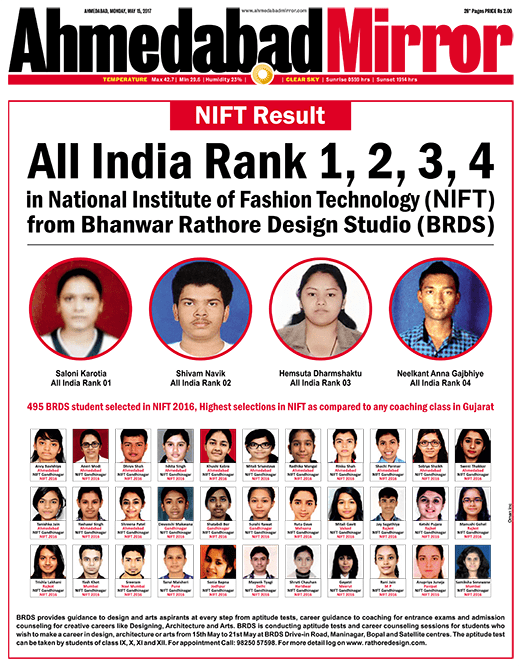 It was set up in 1986 under the aegis of the Ministry of Textiles, Government of India With its head office in New Delhi, NIFT has total 16 centers across India located at Mumbai, Kolkata, Kangra, Gandhinagar, Hyderabad, Chennai, Bombay, Raebareli, Patna, Shillong, Bhopal, Kannur, Bhubaneswar, Srinagar and Jodhpur.NIFT offers four-year bachelors, as well as two-year master programmes in the areas of Design, Management, and Technology with total 2800 seats in all the programmes. 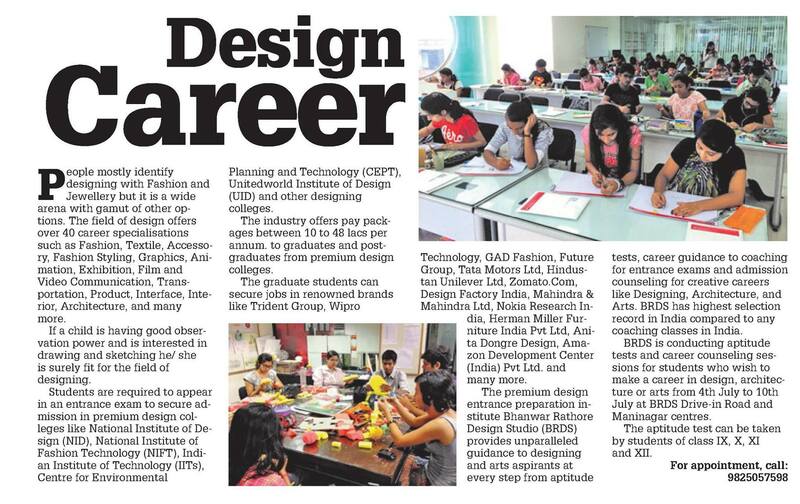 National Institute of Design is the top design college in India and offers a wide range of UG and PG courses in design. 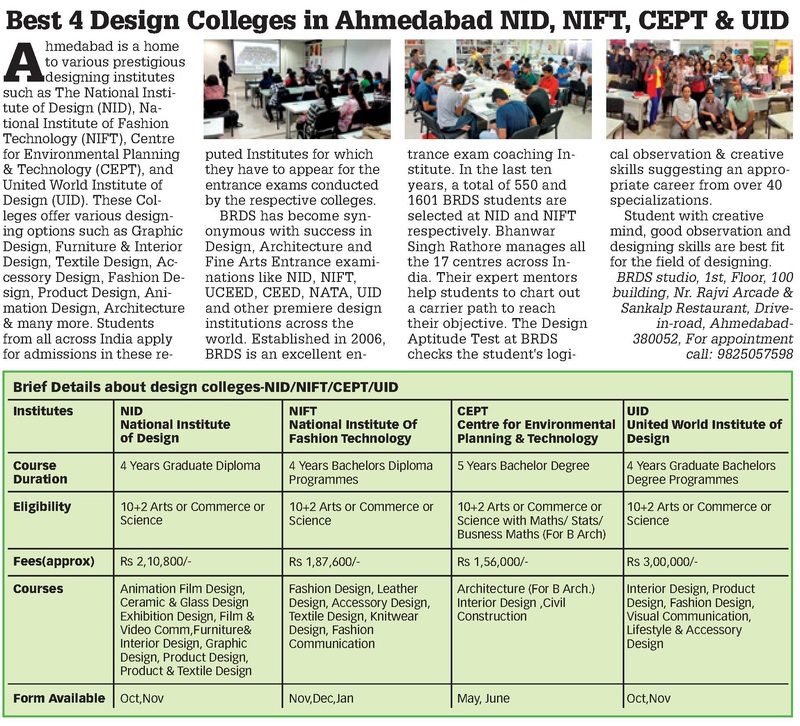 NID has its main campus in Ahmedabad, PG campus at Gandhinagar and an R&D campus at Bangalore. 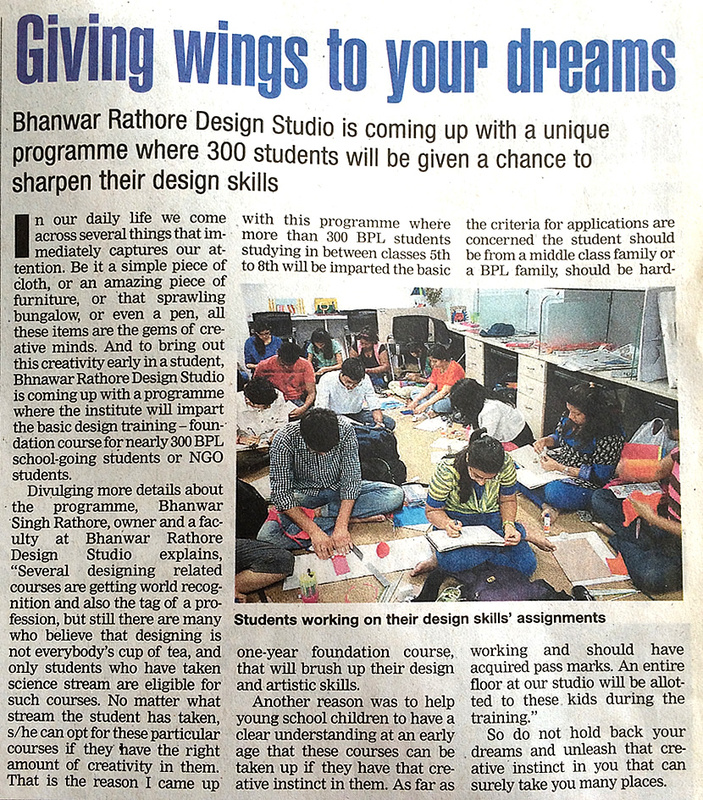 Bhanwar Rathore Design studio is the leading design coaching institute in the country. 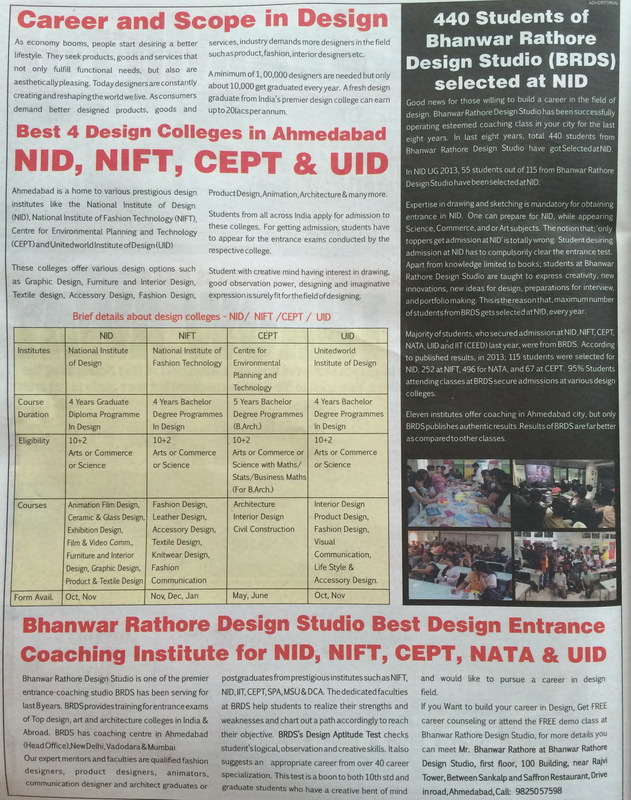 BRDS Kolkata centre at Woodstreet road provides the best NIFT Coaching in Kolkata. 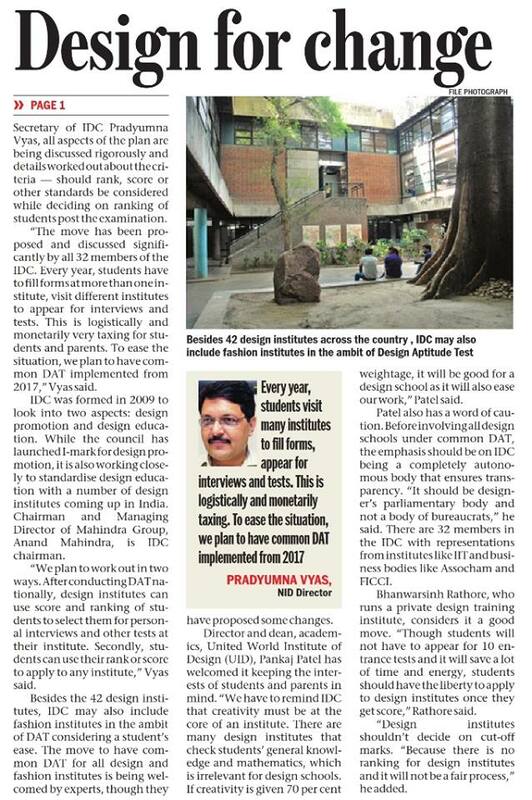 It is located near Park Street and is easily accessible from all parts of the city. 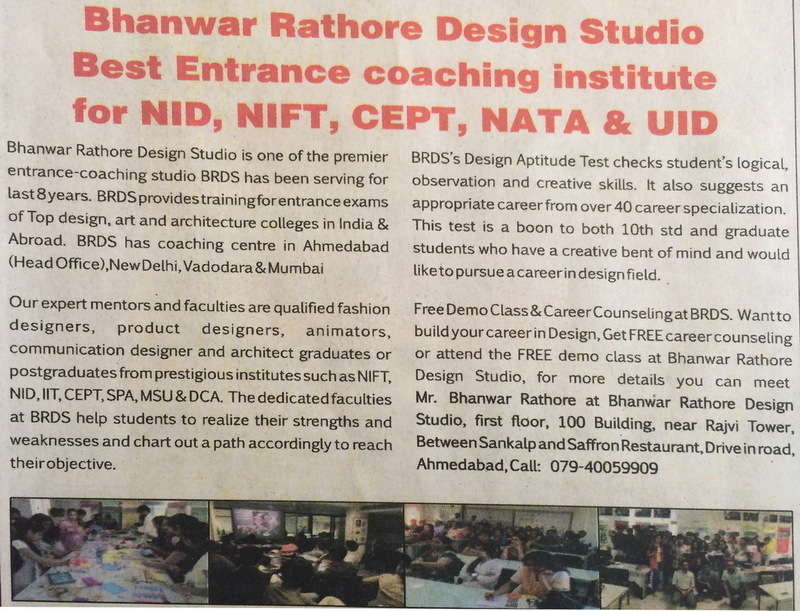 BRDS provides the best NIFT Coaching in Kolkata. 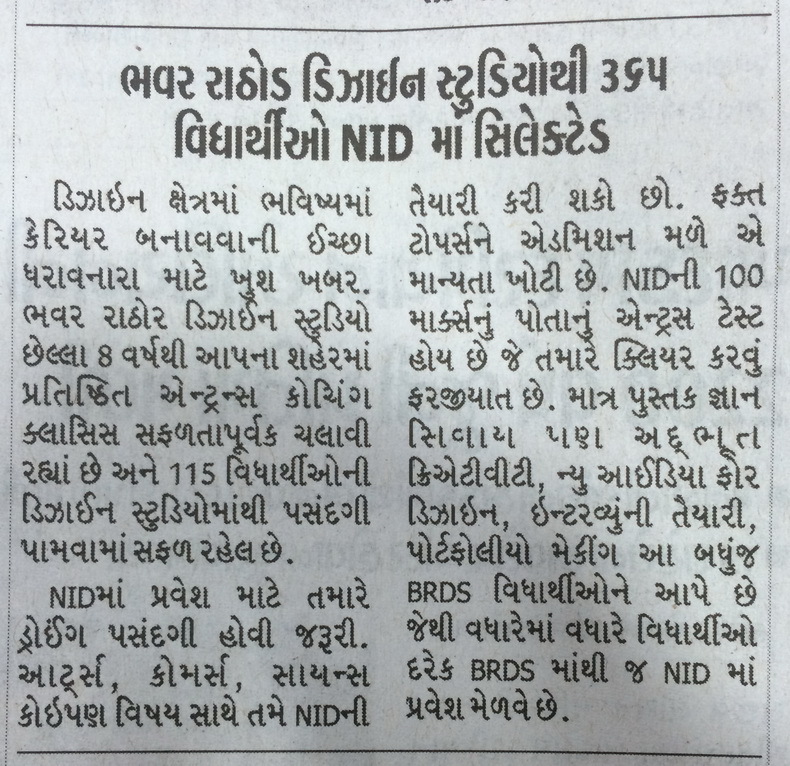 Over 800 students of BRDS have got into NID from 2008-2017. 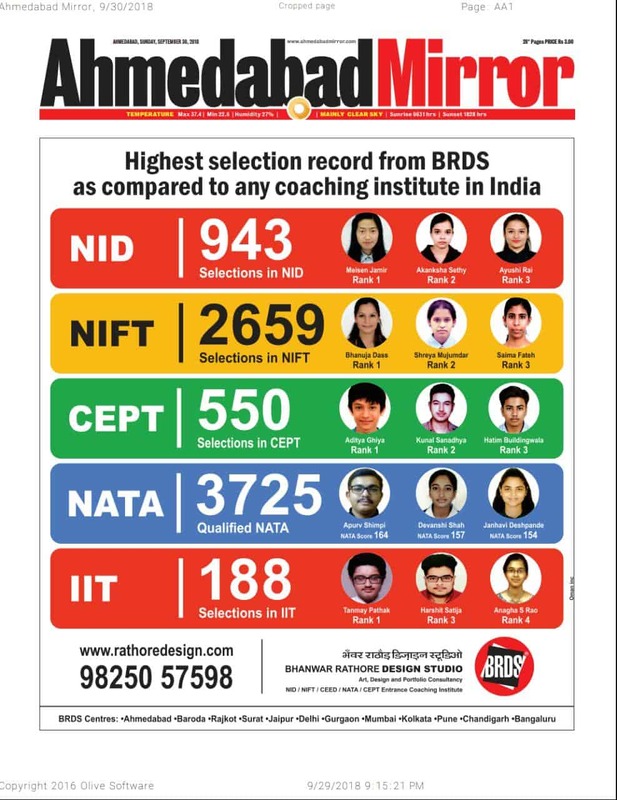 BRDS has the highest number of students who have cleared NID entrance compared to any other coaching institute in India. 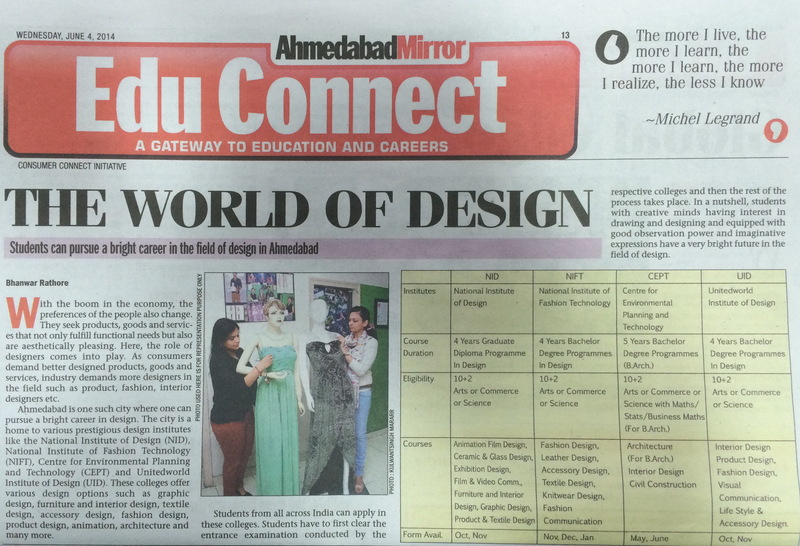 Students can register for a demo class by taking a prior appointment. 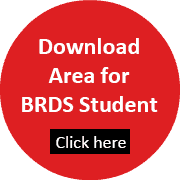 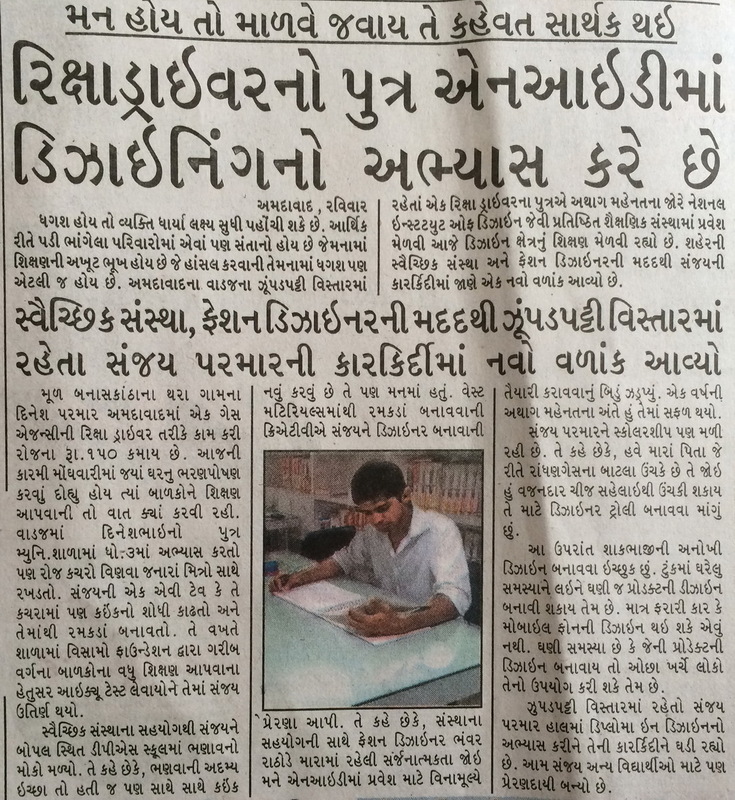 BRDS also conducts a scholarship test for students. 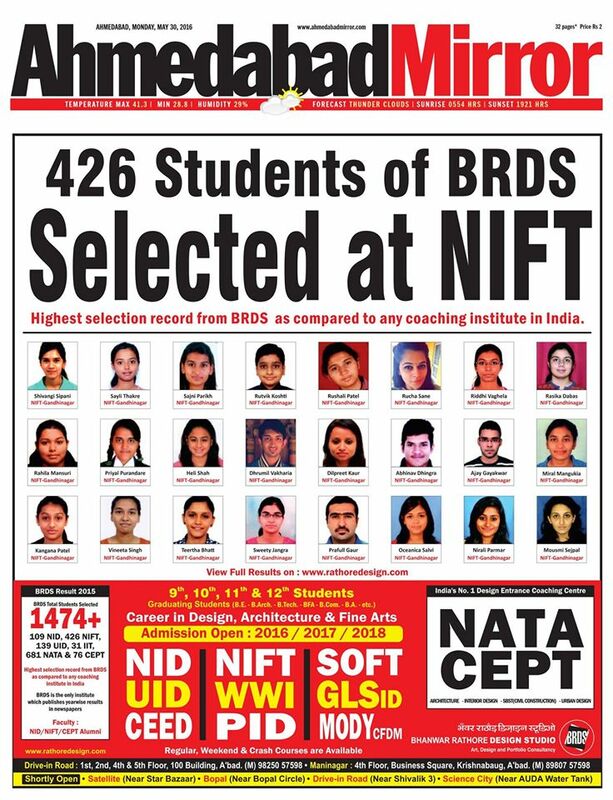 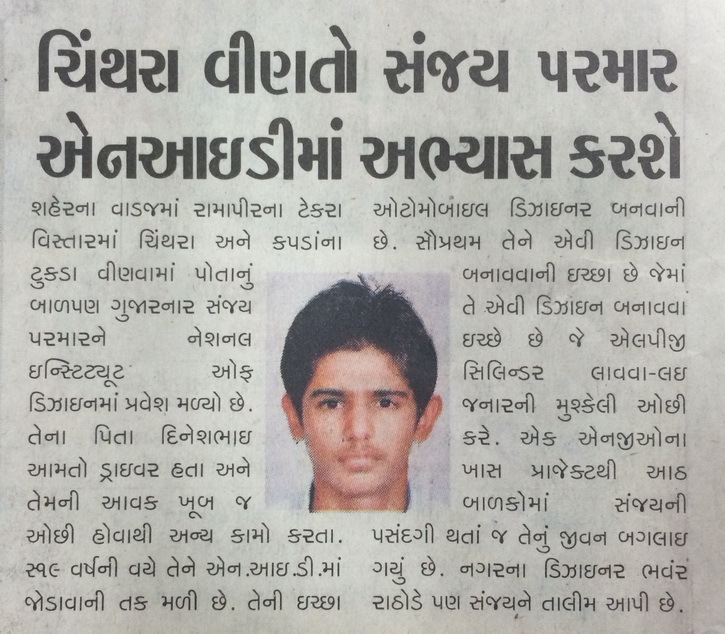 Selected candidates are offered up to 100% scholarship on total fees depending on their scores. 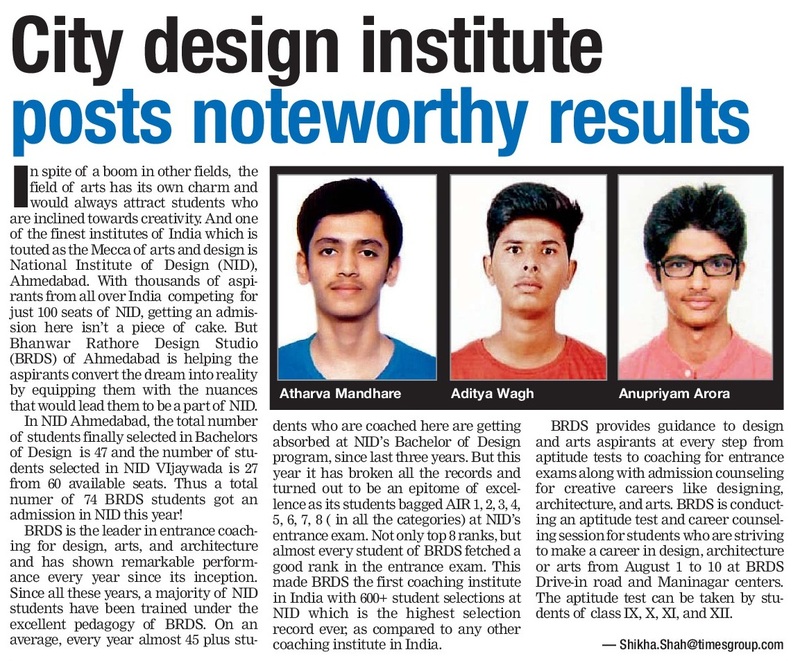 BRDS faculty includes alumni’s of prestigious institutions like IIT,NID, CEPT etc who guide and mentor students on various aspects of the NID entrance . 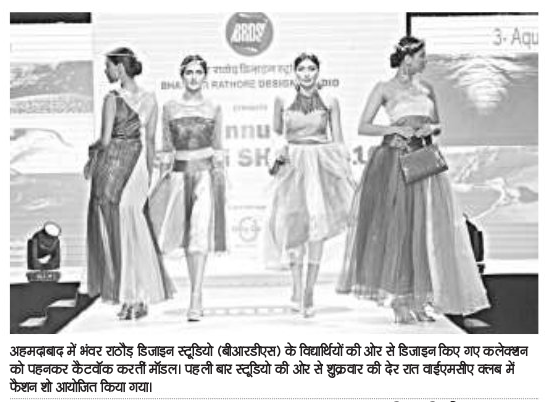 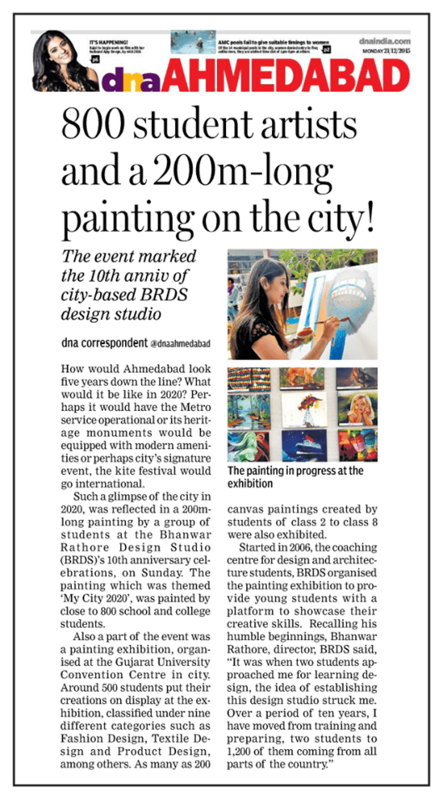 BRDS also conducts events like fashion show, interior design show, design hunt competition etc to help student grasp the nuances of design better.